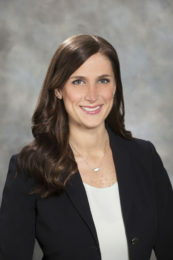 Ms. Ketcham is a member of the Litigation department in the Orlando office. She focuses her practice on business and commercial litigation. She has experience in resolving complex, commercial matters in both state and federal courts, as well as experience in forms of out-of-court dispute resolution, including mediation and arbitration. She has assisted in the representation of large public corporations, small companies, and individuals from a wide range of industries, including homebuilders, homeowners associations, mortgage brokers, investment firms, banking and financial institutions, insurance companies, retailers, hotel owners, and physicians. Ms. Ketcham has helped litigate and resolve cases including contract disputes, employment agreements, business torts, personal injury cases including negligent, negligent supervision, and negligent security, trade secrets, trademark and patent infringement, federal and state securities fraud, shareholder disputes, collection practices act disputes, fraudulent transfers, construction defect claims, and landlord/tenant disputes.